2.3) Introducing Jeti DS-12 Radio System. Did you Know? 2.4) Introducing Jeti DS-12 Radio System. Did you Know? 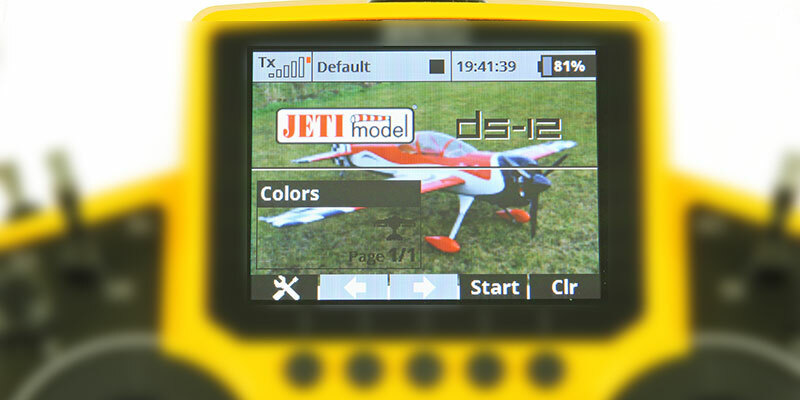 2.2) Introducing Jeti DS-12 Radio System. Did you Know? 2.7) Introducing Jeti DS-12 Radio System. Did you Know? Did you know that with the DS-12 you can easily change your Background and Profile Images? Customize every screen and play with any backround. Jeti allows you to upload any image and even customize the location on your screen. 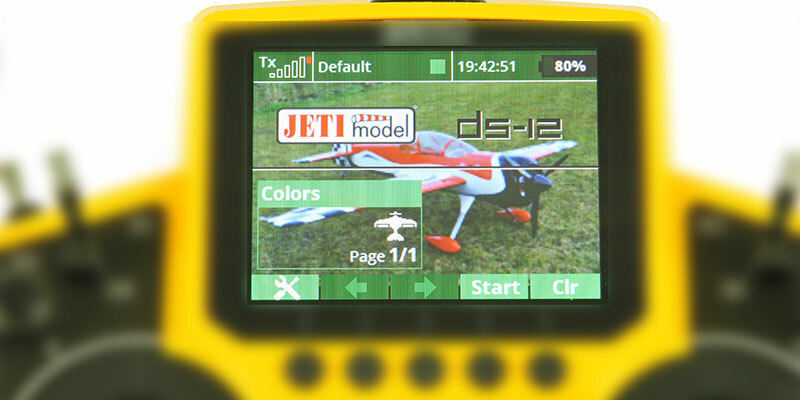 2.6) Introducing Jeti DS-12 Radio System. Did you Know? 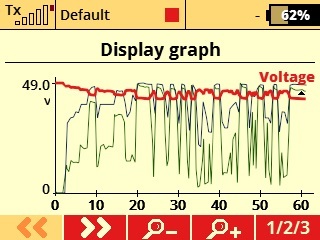 Did you know that with the DS-12 you can easily monitor and record your Rx Battery Voltage? Every Jeti receiver provides receiver voltage battery monitoring and live downlink. This allows you to set up custom telemetry alarms that will alert you if there is drop in your Rx battery. You can see A1 & A2 antenna strength in a scale from 0-9 and Signal Quality as a direct percentage. 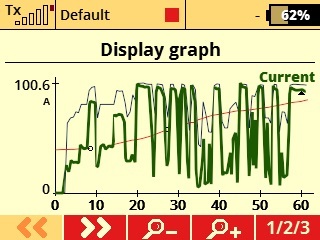 This allows you to set up custom telemetry alarms to alert you if there is a drop in your RF link. 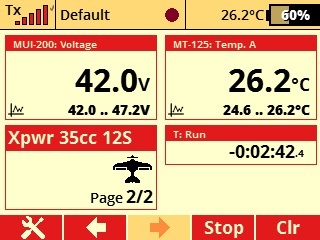 Did you know that with the DS-12 you can change Screen Color on the fly? Transmitter allows you to customize your screen and change colors anytime you like or need. Did you know that with the Jeti DS-12 you can Soar with the Birds? Simple Plug & Play solution. 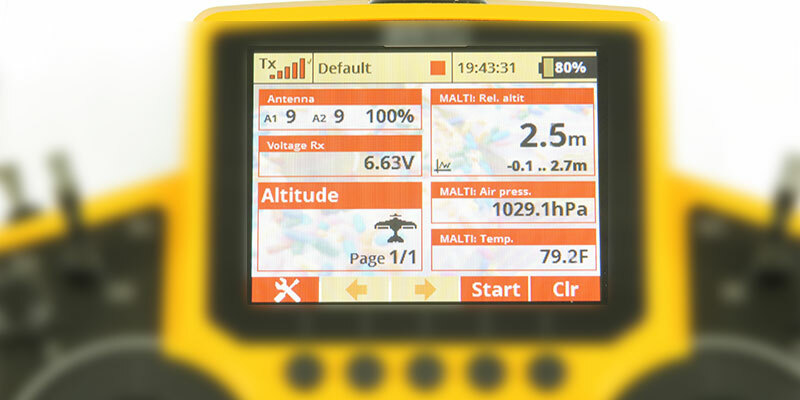 Jeti Variometer measures atmospheric pressure and using the obtained data it calculates the altitude above sea level, and the rate of climb and descent. The sensor also alerts you if any alarm setting is exceeded. 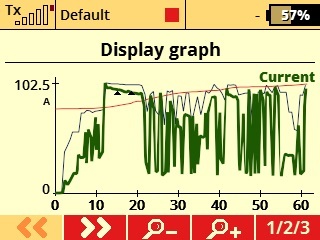 The acoustic signal consists of 4 different kinds (steps) for climbing and the same amount of steps for descending. 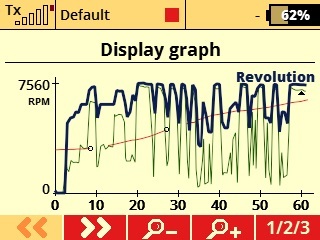 The step width can be adjusted by the user. 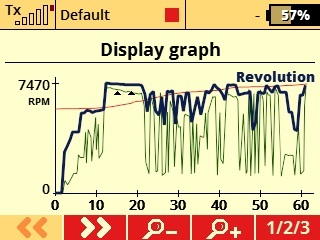 The climb signal consists of short interrupted tones, the descent signal consists of long permanent tones. 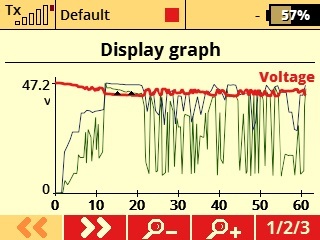 Did you know that with the DS-12 you can easily monitor your Motor & Battery? Stop guessing your flight time. 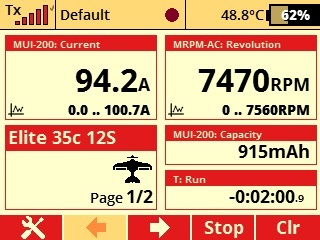 Jeti lets you know exactly your used battery capacity (mAh), battery voltage (V) and how many Amp is your motor/propeller pulling. No longer you have to deal with damaged batteries or burned out motors. We know that it can be hard to compare motors from two different companies, but using Jeti Telemetry systems it was a breeze. These are not identical motors at all, but numbers are very close. The major differences are in rotor pole count, telemetry sensors and overall dimensions. 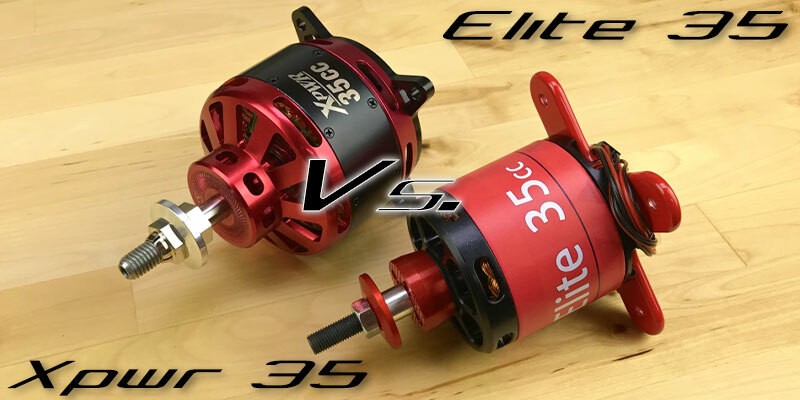 The Elite motor has 14 poles and the Xpwr has 28, this allows you to run Elite with virtually any ESC. Weight is also very close with the Xpwr weighing 775g and the Elite weighing 825g with Jeti Telemetry sensors installed. 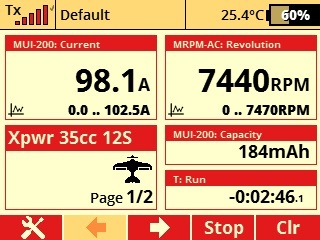 We have performed bench tests with a Fiala 21×10 propeller and 12S 5000mAh battery packs.